The world's most famous detective. The most brilliant mind in fiction. 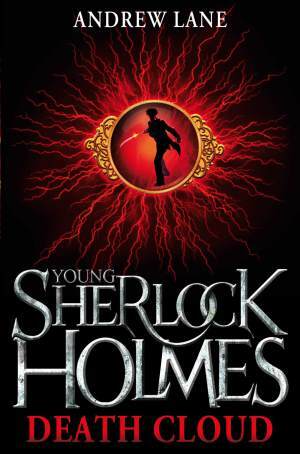 But before he became the great detective, who was young Sherlock Holmes? The year is 1868, and Sherlock Holmes is 14. His life is that of a perfectly ordinary army officer's son: boarding school, good manners, a classical education – the backbone of the British Empire. But all that is about to change. With his father suddenly posted to India, and his mother mysteriously unwell, Sherlock is sent to stay with his eccentric uncle and aunt in their vast house in Hampshire. So begins a summer that leads Sherlock to uncover his first murder, a kidnap, corruption and a brilliantly sinister villain of exquisitely malign intent . . .
A life-long Sherlock Holmes fan, Andrew Lane delivers a thrilling series in which the iconic detective is reimagined as a brilliant and troubled teenager, while managing to remain faithful to the spirit of Arthur Conan Doyle's classic character.